European Oak is one of the most popular wood veneers, versatile and varied in use and appearance. It is also known as English Oak or Burr Oak. This hardwood is one of the dark european species, now also grows in Minor Asia and in the North of Africa. This well known and loved species produces a myriad variety of different types of very useful veneer. Depending on the individual log and the way in which it is sliced, European Oak may be plain and straight grained with a minimal look, it may be highly figured with pronounced medullary rays, or crown-grained like many other types and even rustic looking with pips and burr clusters that can be spread over the full length of the log. 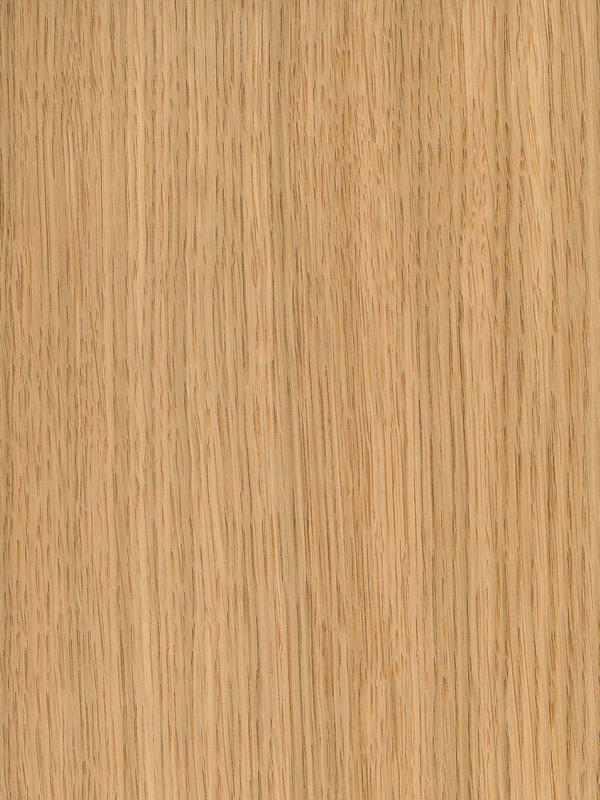 European Oak Quarter Cut presents a medullary rays that are displayed across the straight grain often to marked decorative effect known as ray figure or heavy figure. This with its coarse texture and its medium weight define this hardwood species. The colour of the heartwood varies from light brown yellow to brown, and the sapwood is a little clearer and is clearly separated. Its fibre is straight and the grain is thick. Indeed, growth rings are visible and they are very marked. An elegant option for woodwork. European Oak Quarter Cut veneer has nearly all common uses of hardwoods, and is especially popular where strength and durability are required, as architectural panels, lumber or furniture. Other common uses are interior woodwork (flooring, moldings) and joinery. That is why European Oak Quarter Cut gives infinite possibilities to fill spaces with an elegant or even classic sensation. It is a perfect way to englobe natural wood in your woodwork without leaving aside the trends of fashion and interior design. CHANNEL VENEERS is the world's first veneer company by number of references. We offer hundreds of different wood surfaces that fit every project. We supply rare species, modified wood surfaces and exclusive decorative wood veneers for building, automotive, nautic and furniture sectors all over the world.